The wild world of SEO is intimidating to many business owners. It can seem super technical and hard to understand. Where do you even start? Luckily, SEO isn’t as hard to grasp as you think. There are a few things you need to know about how search engines work to be successful. And, no, you don’t need a marketing degree. Once you understand the basics, the rest will come to you in no time. Embrace this killer marketing strategy to increase your website’s traffic. 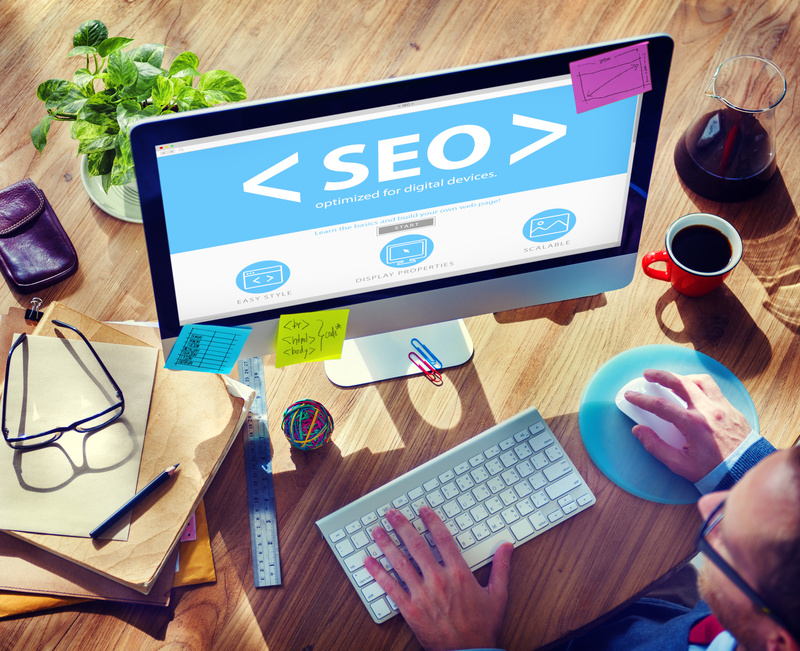 For the 10 things you need to know about SEO, keep reading. To track your website’s traffic and engagement, you need analytical tools in place. There are a ton of options when it comes to tracking analytics. The most popular by far is Google Analytics. You can install this add-on to any website. When you do, you’ll see your current engagement. It’ll show you your views per day by page, conversion rates, and time spent on pages. As you start using the other aspects of SEO, this tool will show you what’s working and what isn’t. Did you know that users aren’t going to stay on your site if it takes longer than three seconds to load? Search engines favor websites that load quickly. To find out how fast your website is, enter your URL on a page speed assessment site. You should also take the necessary steps to speed up your loading times. You can improve page speed by compressing images. Also, decluttering the sidebar and uninstalling plugins you don’t need will help increase the loading speed. Social media is a key ingredient for a highly-trafficked website. Not only does it spread awareness for your brand, but it attracts new customers. Your social media profiles are a place to express your brand’s personality. You should be engaging in the comment section and reply to your customer’s posts. Social media platforms are where you build relationships with potential leads. Of course, each profile should include a link to your website. If they like your page, they might check out your website. Keywords aren’t only important in your written content. The images you use on your website also need keywords to show up in search engine results. Think about the Google Images tab. You type in specific words to find a relevant image. Sometimes, you even click the link that image connects to. Every image on your website needs to have image optimization for search engines. Use relevant and specific keywords in the description. The first page of the search engine results page is lucrative real estate. How many of those first-page rankers got published five years ago? Ten years ago? Google favors websites that post consistently and regularly. It wants to show users fresh and current information. No one wants stale or outdated data. Make a point to check that your website’s information is accurate. Use a broken link checker plugin to ensure your links still work. And, post new content at least a couple times per month. You may be thinking, “what in the world are meta descriptions?” There’s no better time to learn about meta descriptions than now. Using them correctly can boost your web traffic significantly. Meta descriptions are the 1-2 lines of information below your page title in the search engine results. This is the information that will help a user decide if they want to click your page. It needs to have relevant keywords and captivating copy. It should convince the user that they’ll find the answer to what they’re searching for here. The factor that turns leads into customers is trust. You might have awesome web traffic, but if those leads don’t trust you, they won’t buy from you. One way to build trust is to establish yourself as an authority in your industry. You can do this in a few ways. The most common and effective way is to have reliable and trustworthy sites link to your pages. In a way, it’s like they’re telling their users that your site is worth checking out. Guest posting is the easiest and most effective way of garnering links. Black hat SEO describes strategies that are unfair, corrupt, and sometimes illegal. These are tactics that Google is always on the lookout for. You won’t increase your web traffic or sales by using these methods. While these methods may be tempting because they were once effective, they aren’t now. You’ll build quality leads and increase traffic by staying above board. You can view here to learn more about SEO guidelines. If you don’t edit your URLs, they’ll include a bunch of random numbers, letters, and symbols. Not only can customers not remember or understand them, but search engines don’t like them either. Instead, take an extra 30 seconds to rewrite your URLs. Use the title of the page and include a keyword. You want the URL to be short, less than 10 words. The URL should tell the user what page they’re going to and be easy to remember. Hiring an SEO specialist or marketing agency can get expensive. The time it takes to learn SEO may also seem like too big a commitment. But, SEO is an investment in your business. It will lead to more traffic, more leads, and more sales. The investment is well worth the cost. Still Wondering How Search Engines Work? You can’t learn everything about how search engines work overnight. But, the basics listed above will set you on the path to search engine success. Use the tips above to skyrocket your website traffic and rank higher in the results page. SEO is an investment in your business with proven results. For more information on getting your website noticed and boosting traffic, check out our blog.